FUEL EFFICIENT 33 MPG Hwy/25 MPG City! CRYSTAL WHITE PEARL MICA exterior and BLACK interior. CD Player, iPod/MP3 Input, Edmunds.com's review says "A new high-efficiency engine re-establishes the 2012 Mazda 3 as a class favorite.". CLICK ME! iPod/MP3 Input, CD Player MP3 Player, Remote Trunk Release, Child Safety Locks, Steering Wheel Controls, Electronic Stability Control. 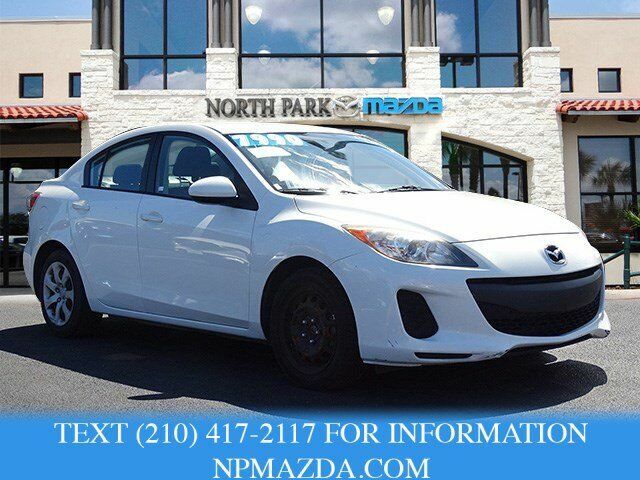 Mazda Mazda3 i Sport with CRYSTAL WHITE PEARL MICA exterior and BLACK interior features a 4 Cylinder Engine with 148 HP at 6500 RPM*.